Book Reviews by Essie: Vampires....Fantasy-Lite? "Ugh, another vampire novel?" This is the response I got when telling someone about the book that I'm currently reading. My first reaction was to defend myself and the book that I had chosen out of thousands of other books. My second thought was better, however. You could respond this way to any book. "Ugh, another romance (science fiction, crime thriller, mystery, serial killer) book?" The list could go on forever. 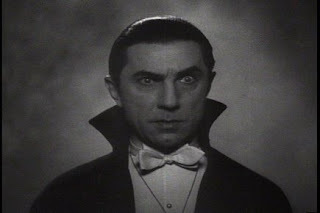 I think that vampires became popular, so everyone with a story wrote it and it worked for them, so viola, more vampires. I think readers became so interested in vampires because they are so human-like, that the characters in stories can pretend to be human and interact with the human world without the author having to necessarily drawn in "weird" or "strange" creatures that would require descriptions that may turn some readers off. It would also be difficult to create romance between humans and a non-human like group, so again, vampires work better here as well. I also think that vampires are a good fantasy story for those of us who aren't usually fantasy novel readers. I admit that I've read a fair share of vampire books. I'm reading one right now, as a matter of fact. Think of vampires as Fantasy-Lite. If I were to be asked, "Do you like fantasy novels?" I would reply with a simple no. I suppose this isn't the truth though. Vampires are fantasy, but because in novels they tend to live in the human world and act human I just don't seem to classify them with fantasy. I think they add a dimension of danger to a story that couldn't be incorporated otherwise. People, including myself, like that danger. Here is what I don't like in a fantasy novel. Far away lands where the inhabitants of the world are certainly not human, strange creatures, foreign (not of this world) languages, and descriptions that I am unable to picture because the world exists only the the creator's mind. I guess you could call those things alternate realities, but that doesn't seem to fully express what I mean. This is why vampires are great for non-fantasy readers. They are here, in our world, doing things that we do so that we are able to relate to them. On the other side, vampires are great for authors because they can turn their vampires into anything that they want. Some shape change, burn in the sun, have superhuman powers and heightened senses. Some kill humans with a single bite while other drink just a little, some sustain themselves on fake blood and others on animal blood while still others can buy blood from butcher shops or blood banks. The list is endless, and new authors are creating new stories and spins constantly. My philosophy is this: If you enjoy writing it, then write it. If you enjoy reading it, the read it. Nicely put. I got the weird kind of looks when I was reading Dracula. I wouldn't care less of what people thik of what I'm reading. I agree. Try telling someone that you read Twilight and enjoyed it. I swear one of these days I'll get beaten up. I never said it was the best book I've ever read, but I won't lie and say that I hated it. I honestly enjoyed the love story, even if it had some plot holes and was a little thin.